In compliance with the resolution of the Ekiti State House of Assembly passed on the10th of May, 2017 urging His Excellency, the Governor of Ekiti State to look into the financial transactions of Ekiti State under th‎e administration of Dr John Kayode Fayemi, His Excellency, Dr Peter Ayodele Fayose, acting pursuant to Section 2 of the Ekiti State Commission of Enquiry Law Cap C10 Laws of Ekiti State 2012, has constituted a Judicial Commission of Enquiry to look into the financial transactions of Ekiti State between 2010 and 2014. 1. To ascertain how much Ekiti State Government received as statutory allocations during the period under review and how same were disbursed. 2. 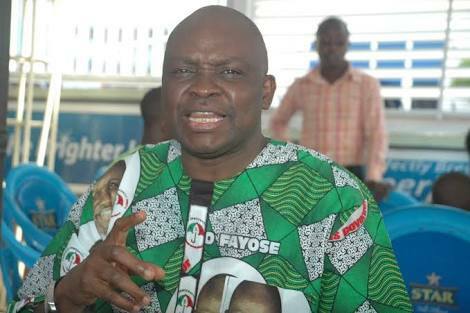 To look into the financial transactions of Ekiti State between 2010 and 2014. 3. To ascertain the amount received on behalf of the state from the Universal Basic Education Commission (UBEC). 4. To investigate the allegation of fraud/loss of funds, including the diversion and conversion of the State Universal Basic Education Board Fund. 6. To make appropriate recommendations to the Ekiti State Government. The Judicial Commission of Enquiry has three (3) months to submit its report to the Governor. The inauguration of the Commission shall take place at the EXCO Chambers, Office of the Governor, on Monday, 22nd of May, 2017 ‎at 9am.